These week’s topic asked us to name our top ten authors. Can you imagine the agony. There was no way I could do just one list, so I made one list for YA and another for literary/classic – because I wanted to fit in as many favorite authors as possible. I’m sure I left some super important people off my list and that it might look totally different if I made the list next year or next month or even next day. But for today here are my all time favorite authors. Let me know yours in the comments! A big thanks to The Broke and the Bookish for hosting this weekly book meme. Also because I just can’t bare to leave them out, here are the authors I whittled away from each list to get them both down to ten: Ernest Hemingway, Curtis Sittenfeld, Charlotte Bronte, Emily Bronte, Margaret Atwood, Suzanne Collins, L. M. Montgomery, Meg Wolitzer, Maureen Johnson, Maggie Stiefvater, Megan McCafferty, Sarah Dessen, Laurie Halse Anderson, Tahereh Mafi, Morgan Matson, and Huntley Fitzpatrick. And I’m sure I’m still missing people! Bah! This was SO HARD! Little Women is one of my favourite books. I’m not sure how I managed to miss Louisa May Alcott off my list! You’ve featured some great authors! I read all of her books obsessively as a teen. They were so good! 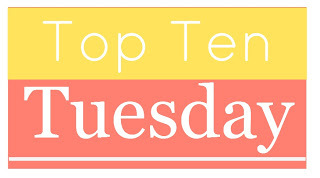 There are so many books to read and so many authors to discover.These top ten tuesdays always make me add a ton of books to my TBR pile and now it’s entire authors. I know. It gets harder and harder to read everything I want to because the list just keeps expanding. Such a great list and so wonderful to see both classics and YA. Some truly awesome authors on there! I couldn’t choose between doing the two kinds of lists. Both lists are great! I’ve read and agree with most of your Literary/Classic list but your YA list reads like my authors I want to try list. I’ve been wanting to read Stephanie Perkins, Gail Carson Levine and Jenny Han for awhile so I’m glad to see that they made your all time favorites list! Bah Stephanie Perkins is a contemporary romance genius. I would definitely get to all of that trio, but I definitely suggest reading Anna and the French Kiss ASAP. Awesome lists, going to be adding tons of books to my TBR pile today! Some of these I’ve not even heard of so I’ll for sure be checking them out. Thanks! My TBR list is growing exponentially today too! It’s fun seeing Jane Austen and J.K. Rowling on so many lists today – they really are the masters! Oh my gosh – I don’t know how you were able to narrow your lists down at all. So many great names on your lists! Thanks, Crystal. Believe me the narrowing down of my list was pretty excruciating (even though I didn’t strictly stick to the top ten rule).